SCAM ALERT! 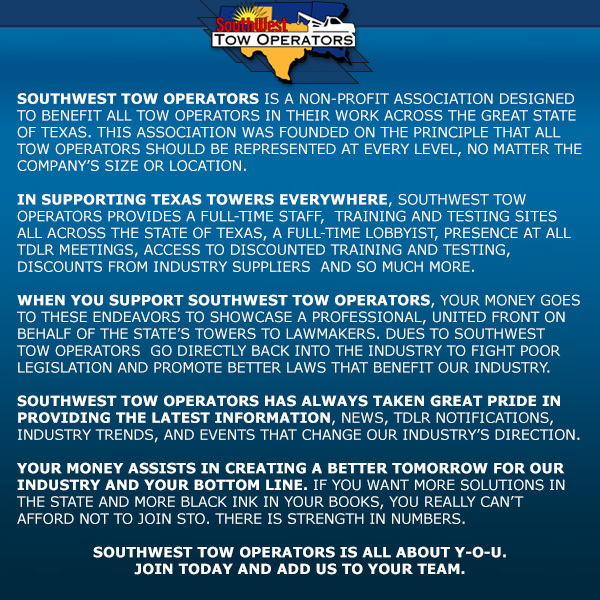 Several TDLR towing licensees received a phone call from a con artist posing as a TDLR employee. The scammer said he was an inspector from the state and was calling to schedule tow inspections, for which he was charging money. 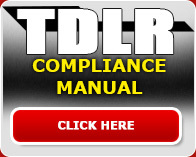 TDLR does not charge for inspections. 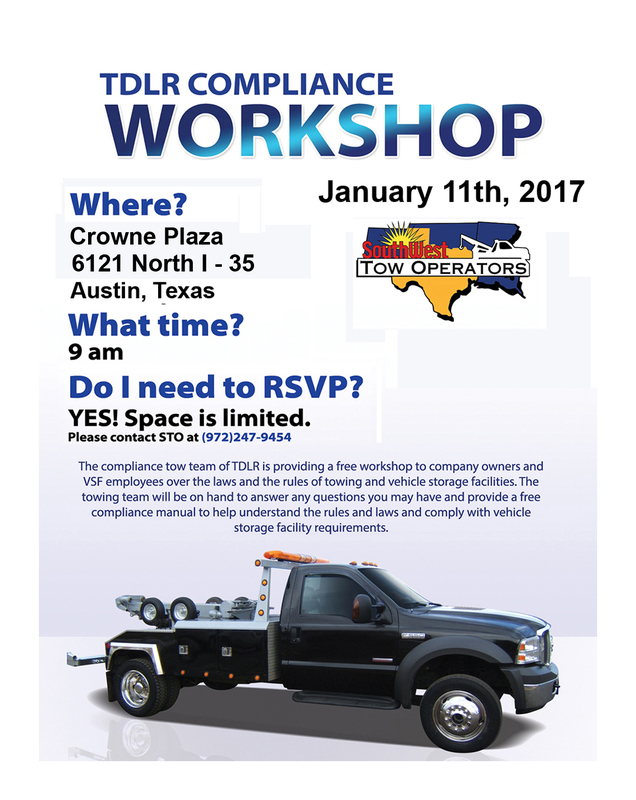 Note: TDLR may contact licensees about “Tow Round-Up” inspections in their area. 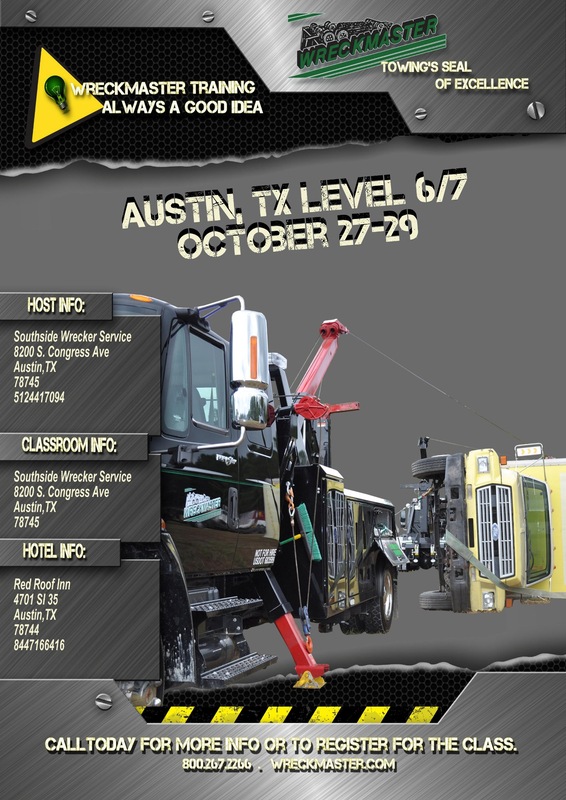 There is no fee for participating in Tow Round-Up inspections or any inspections. Again, TDLR does not charge for inspections. 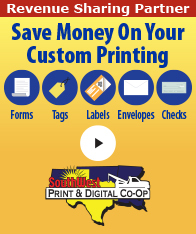 If you believe this person has called you, please contact TDLR customer service at CStowing@tdlr.texas.gov or 800-803-9202.
provide their TDLR business card upon request.